The Kahnawake Gaming Commission (KGC) on Friday released its long-awaited final report on the audit it ordered conducted into the operations of Absolute Poker (AP) and insider cheating allegations that surfaced late last year. The report, issued by the KGC and signed by three Commission members, includes both the audit's findings and the penalties assessed to AP as a result of the ongoing investigation. Included is a $500,000 fine levied against AP as penalty for the illegal activity and a two-year 'probationary' period wherein AP will be subject to an increased form of supervision by the KGC. As the oversight organization responsible for all online sites licensed to operate through the Kahnawake reserve and its affiliated server operations, the KGC initiated an audit of AP by an Australian firm, Gaming Associates, once it became fully aware of the scope and complexity of the accusations against AP. The Gaming Associates audit included an examination of AP's operations at several international sites and revolved around several accounts accused of having access to and knowledge of opponents' hole cards through what were at that time undisclosed means. The audit spanned roughly ten weeks and quickly confirmed what soon became public knowledge, in that a form of insider cheating had occurred at AP, and the actual 'examination' portion of the audit concluded even as the site began making restitution to all user accounts known to be negatively affected by the illicit activity. The final report on the audit was scheduled for release in early December, 2007, but due to the complexity of the issues involved was delayed in its release for several weeks. The audit confirmed that on or about August 14, 2007, cheating began, in the form of a software exploit (reported elsewhere) allowing unnamed insider(s) access to the hole cards at the insider(s)' tables. Seven different accounts, two of which had multiple screen names, were connected to the cheating operation: GRAYCAT, PAYUP, STEAMROLLER, POTRIPPER, DOUBLEDRAG, XXCASHMONEYXX (also known as SUPERCARDM55), and RONFALDOXXB (also known as ROMNALDO). However, the audit confirmed that the cheating operation was not, by all evidence, an attempt to enrich AP as a corporate entity, but was instead an attempt by the unnamed insider(s) to garner personal gain. While AP was not enriched in a corporate sense by the cheating, the KGC report did find two other specific faults with AP's operations as the scandal became public knowledge. First, the principles of AP failed to contact the KGC (as required by the licensing agreement) within 24 hours of the discovery of the 'impugned' activities. Second, that "subsequent to the impugned activities having taken place, person(s) associated with AP's operations deleted certain gaming logs and records which had the effect of hampering the Commission's investigation — but did not prevent the Commission from obtaining sufficient information" on its first finding, which was the cheating associated with the seven accounts detailed above. The audit did note, however, that a voluntary repayment of stolen funds was begun by AP once the scope of the operation came into public knowledge. Several different penalties were assessed against AP as a result of the KGC-ordered audit. First, the licensing agreement between the KGC and AP was modified. AP will be subject to a two-year probationary period of sorts when it will be subject to ongoing random audits; in conjunction with this, AP must implement a "continuous compliance program" to ensure that a repeat of the cheating scandal will not occur. The KGC findings also mandated this: "Those person(s) responsible for the impugned activities [are] to be permanently removed from any role in AP 'mind and management' and/or operations and proof, satisfactory to [the KGC], that this has been done." The report did not specify, however, who the removed person(s) was or were. 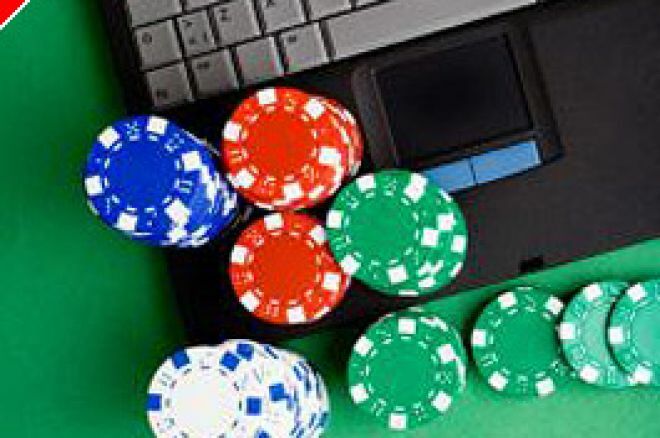 Another penalty was the imposition of the $500,000 fine against AP, the direct financial penalty for the breach of the KGC's Regulations concerning Interactive Gaming, the applicable portion of the licensing and oversight agreement. In total, the KGC cited four different regulations or clauses as having been breached. The KGC also has imposed upon AP the required posting of a security deposit (amount unspecified) against future violations or breaches of the KGC regulatory code. This deposit will be held by the KGC for an additional two years. The KGC also assessed to AP the entire cost associated with the audit and any additional follow-ups that may occur. The full publication of the accounts implicated in the cheating is also designed to ensure that all affected players were or are reimbursed for the unfair play. As noted in another passage, "The Commission is satisfied that affected players have been appropriately reimbursed." However, the disclosure of the accounts allows players to continue their own investigations into their play, and the KGC will accept ongoing complaints and evidence in the case additional unfair play, as yet unreimbursed, is uncovered. Players have 60 days from the date of the audit findings' publication — or until March 11, 2008 — to have their evidence examined by the KGC.